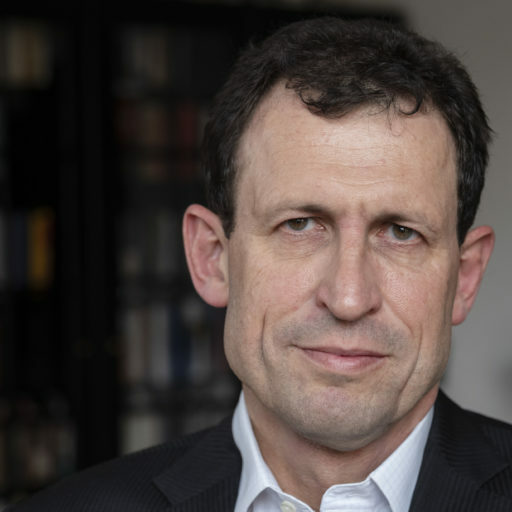 Prof. Dr. Christoph Grabenwarter ist Professor für Öffentliches Recht, Wirtschaftsrecht und Völkerrecht an der Wirtschaftsuniversität Wien und Vizepräsident des Österreichischen Verfassungsgerichtshofs. Er ist seit 2006 österreichisches Mitglied der Venedig-Kommission des Europarats. Gegenwärtig ist er als Fellow am Wissenschaftskolleg in Berlin. Resilience of a body in general describes the ability to cope with an attack on its immune system. What is undisputed in psychology or biology is also valid for legal bodies, in particular for states. The term “constitutional resilience” obviously refers to the abilities of constitutions to cope with attacks and in the end to cope with a real crisis. The workshop is going to analyze in particular the situation in two States where considerable changes in democracy and the rule of law have occurred during the last three to ten years, Hungary and Poland. It is focusing on six fields of constitutional law, represented by three panels with two sessions each. My contribution aims at contributing to some of these fields, in particular Constitutional justice. It is based on the experience of the Venice Commission for which I have been working for more than a decade. During the past seven years the Venice Commission adopted no less than nine opinions on constitutional and related reforms of the judiciary, six on Hungary, three on Poland. There are some more if one takes other opinions on particular fundamental rights into account, I mention the one on religious communities or most recently on the “Stop Soros”-legislation, the consequences of which can be felt in Berlin. In the course of these proceedings the Venice Commission visited both countries several times. The Rapporteurs spoke to Heads of States, Ministers, Parliamentarians, judges, journalists and other organs such as the Judicial Council or the ombudsman and NGOs. In doing so, external experts get a good impression on the “state of a state” – vom Zustand eines Staates. In my view, resilience is subject to at least two factors: First, how stable is the system? And second, how aggressive is its surrounding? Where are the vulnerable parts of a democratic state governed by the rule of law? How can one protect the vulnerability of the state or some of its features? If vulnerable parts of a Constitution are properly protected – are the democratic state and its constitution safe? In order to give at least partial answers, I would like to proceed in three steps. I am going to start with remarks on methodology and practice. Second, I am going to deal with vulnerability of constitutional courts. This is followed by some observations on consequences for dealing with the issue of resilience, in particular with a view to constitutional justice. The first issue we have to bear in mind in the discussion of certain constitutional developments is the potential lack of legal know-how and language. In particular where a language is less accessible for foreigners (like Hungarian) one has to work with translations as far as they are accessible. Therefore, outsiders have to be careful in listening to various sides of the conflict. Sometimes even a majority violating many standards may have a point – for instance, this applied to the former majority in the Polish Sejm when it tried to influence future nominations of judges. This is of course not new, in particular not for the Venice Commission. The Commission helps itself by having interviews with all sides in a conflict, Government and opposition, the judiciary, media, and NGOs, including GONGOs. In doing this, one gets a fuller picture. For academics and judges this picture is completed by conferences and bilateral and multilateral meetings among judges. International contacts dating back to former times when the crisis has not yet started help to gain common ground in the evaluation of the current situation. In discussions with Hungarian and Polish Government representatives one can frequently hear counter examples from older democracies of the continent. Single procedural features are mentioned and isolated from their context in order to legitimize the interference with the independence of justice. I would like to mention just one significant example: When the two-third majority requirement for the annulment of laws was introduced, the Polish Government referred to a similar requirement in party prohibition proceedings in Germany (and it was even argued that – due to the number of eight judges in a Senate of the BVerfG – it was in fact a three-quarter majority requirement). Another argument is what one could call the “zero solution”-argument; i.e. reference to European states without constitutional courts following the German-Austrian model. In an opposite sense, one can also hear the argument with regard to the invocatio dei and the length of the preamble of a constitution, with religious communities, etc. The answer to this is in all cases the same: Comparison always has to take into account the overall context. The role of constitutional justice has been different in the formerly so-called democracies to the role of the ordinary judiciary or parliament exercising similar functions in the UK, Sweden or Finland. In Germany and Austria, constitutional justice has been a means of stabilizing the democratic state after non-democratic regimes have come to an end. Here the situation was more similar to the countries which overcame communist dictatorship at the beginning of the 1990ies. Another example of selective comparison with a view to Hungary concerns cardinal laws (also known in similar forms in France under “loi organique”), an instrument that has existed for a long time in Hungary but which was excessively used only after 2010.
c. What are European standards in the field of rule of law? It is against this background that my third methodological remark is formulated. I would like to comment on the proper approach, in a way it is the question of the proper and adequate methodology to analyze systems in transition from a European perspective. In reflecting the methodology of establishing European standards I take as a starting point the experience of the Venice Commission. The quality of opinions as non-binding recommendations encourages the continued development of existing standards. The purpose is not only the creation of minimum requirements, but rather the achievement of "best practice". In this context one has to refer to a certain variety of members, on one side the "judicial" members, thinking rather "legally", and on the other side politically thinking members, who look at legislation with a political background with the perspective of shaping the law. Altogether the process of preparing an opinion is a cooperative work of protagonists with different qualities, in particular specialists in the field of European constitutional law, who are not primarily guided by formal rules of procedure, but rather by tacit consensus and – meanwhile – decade-long practice. Due to time pressure and awareness of the non-commitment of the documents the wordings are not always as accurately chosen and discussed as it is frequently the case in constitutional or highest courts. The special value lies within the common European perspective, in the influence of different standards and in the fact that other organs can build upon them, whether courts or political organs. The principle of a dialogical trial should be emphasized as a general characteristic. Like the judges of the European Court of Human Right (ECtHR) the members of the Venice Commission are guided by the idea of a common European constitutional heritage, as it was the vision of the governments of the member states (at least at the time of the foundation of the Council of Europe), taking seriously the last part of the preamble of the Convention for the Protection of Human Rights referring to governments of states "which are like-minded and have a common heritage of political traditions, ideals, freedom and the rule of law." Mutual references in opinions, studies and decisions increase cohesion, awareness of multilateral support in the maintenance and development of democratic, rule of law and – last but not least – standards of human rights. As some of you know the Venice Commission has not only adopted a number of opinions on Hungary and Poland but also a “Rule of Law Checklist”. This checklist covers all important issues to be respected in order to establish what we are used to calling “a democratic state governed by the rule of law.” In its main part it puts into question so-called benchmarks, such as supremacy of law, legal certainty, equality or access to justice. A checklist has advantages and disadvantages. On the one hand, it seems to be easy in application, as you have to tick boxes. On the other hand, checklists do not show the problems between the lines. There may be serious problems even if all or nearly all criteria are fulfilled. On the other hand, a state does not necessarily fall short of European standards if it does not show a certain feature. Therefore, the Venice Commission is not limited to putting questions. It also explains how the criteria should be applied and refers to the “specific national context” when it comes to the application of a certain criterion. In short: Checklists may help, however, they must not replace a synthetic approach. Time is an important issue when it comes to resilience. Experience with governments aiming at radical changes in a democratic system shows that these bodies proceed with remarkable speed when it comes to legislative acts or even to the election of judges. Chronologies in Venice Commission opinions show this very clearly. Governments push laws through Parliament within days, opposition parties do not have enough time for studying the law, the role of Parliament to discuss laws is to a large extent neglected, public debate is cut off by speed. As to election of judges, the most remarkable example is the taking of the oath of some new judges of the Constitutional Court in the middle of a December night. What we can see here is that state organs enjoy different possibilities to speed up in certain situations. While opposition in Parliament is already in a position of disadvantage vis-à-vis the executive, the situation of the judiciary and constitutional courts is even worse as far as time is concerned. Judicial proceedings call for strict procedural guarantees, exchange of views among the collegiate body and a well-written reasoning, in particular in situations of crisis. The power of the argument and convincing with its reasoning, not speed, is the currency with which the judicial power deals. As to European bodies, their time of reaction is even longer, although they are – with two exceptions – non-judicial organs. The judicial organs are the Strasbourg and Luxemburg Courts, which need applications under Article 34 ECHR or references under Article 267 TFEU, which they only get after some time has lapsed. In the European Union, the Commission, the Council and the European Parliament need months and years in order to come to a decision even to introduce proceedings, the Commission still being the most flexible organ among these three. An exception is the Venice Commission which has established working methods that enable it to adopt opinions sometimes within weeks, regularly within two months. This aspect forms – together with the know-how and the reputation of its members – a reason for its success and its relevance for decisions of other European bodies. Another time issue I can only address in questions is the following: In situations where legal scholars discussing resilience are confronted with radical changes and the aim to remove such changes the questions arise: How far can we turn back the wheel of time? Do we have to accept certain decisions after a while as part of constitutional law although they were initially found illegal? These questions should be put on the agenda of a workshop on resilience. Let me turn to the vulnerability of constitutional justice. I would like to discuss the vulnerability of courts by describing three Achilles´ heels: the nomination of judges, targeted changes in procedural law, and the disrespect of decisions. The first and most important means of interfering with the independence of a constitutional court is the selection of its bench. If the election of judges has the consequence that the majority in the Court is not willing or unable to exercise effective control, the Court loses its functions in a state governed by the rule of law. The examples of the Austrian Constitutional Court in the 1930s as well as the American Supreme Court in the 19th century confirm this experience, long time before Franklin D. Roosevelt intended to increase the number of justices in the SCOTUS to 15 in order to avoid interference by judges with his “New Deal”. There will be a special workshop on the issue, so it is not the task of the opening session to give simple answers beforehand. Factors of resilience, which can be seen at first sight, are whether there is a requirement for a qualified majority for the election of judges, whether there are cooling-off-periods for politicians, whether there are strict requirements concerning the qualifications and professional backgrounds and whether there are provisions of incompatibility of offices. What should be added at this early stage of the conference are two elements which one immediately realizes when going deeper inside a system as an outsider. The first element is the term of office of constitutional judges. As a general rule, terms of office of judges in constitutional courts vary between five and twelve years. There a few examples where the term goes beyond, Austria being one example. Arguments on the length have been exchanged – it is basically on striking a balance between democratic legitimacy and independence. In Poland and Hungary, it is nine years like in other courts (including the European Court of Human Rights), in Hungary there is the possibility of one re-election, which in fact does not contribute to more independence, on the contrary. An isolated analysis would come to the result that there is no problem with a 9 years-term. However, in the concrete Polish situation, it was. The reason was the coincidence of a larger number of vacancies at the Court. Simple mathematics explain the situation. The Court has existed for less than 30 years, it consists of 15 judges with a term of only nine years. One does not have to be an expert in statistics in order to realize that it is likely that a majority of judges may be replaced in less than a legislative period. In autumn 2015, the Polish Constitutional Court was particularly vulnerable because the old majority had overstepped the legal lines of the constitutional election of judges, which gave the new majority a pretext to take a similar step – crossing the line of constitutionality. The second aspect is whether opposition in Parliament or other intermediate powers participate in the election process or whether it is the Government alone who elects the judges. In its rule of law checklist the Venice Commission recommends a two-third majority for the election of judges in Parliament, a model which exists in Germany. In absence of such a rule constitutional practice may lead to a similar result. Austria has been an example for this; in Germany, the consensus rule is completed by custom even reaching beyond the two-third requirement in the two chambers of Parliament. Another way is to distribute nomination between various organs, including organs of the judiciary, Italy is an example for that. The second Achilles´ heel is procedural law. Again, we find examples in the Polish and Hungarian experiences. The Polish Law amending the Act on the Constitutional Tribunal of 22 December 2015 contained inter alia a sequence role, providing for a quorum of presence and a qualified majority in certain proceedings. In combination with the election of certain judges the measures were obviously directed to influence the outcome of certain proceedings, in particular the examination of the amendments to the Constitutional Act themselves. (a) The first one concerns the direct curtailing of competencies of the Court. In this context there was a lot of discussion on the abolition of actio popularis in Hungary. For the purpose of this paper I would like to leave this issue aside; here the legislature has reduced a legal situation that went far beyond normal European standards to a level that corresponds in this respect roughly with the situation in Germany and is well above the access to the Constitutional Court in Austria. A much more critical issue is the limitation to review tax and budgetary legislation according to Article 37 para. 4 of the Basic Law only with a view to some basic human rights, introduced in 2010 and extended one year later. The third Achilles´ heel concerns the acceptance of the Constitutional Court and its case-law by Government. Disrespect vis-à-vis constitutional justice can be seen at an early stage of proceedings. It is a common feature that in norm control proceedings before a constitutional court representatives of Government and/or Parliament take part in order to defend legislative acts before the Court. As to the outcome of these proceedings, constitutions usually provide for the publication of judgments concerning the annulment of laws (or at least of its operative part) in the official journal where laws are published. This is usually an obligation of the government concerned or of the prime minister. In these reactions we can see clear disrespect of the constitutional court. If the validity of the highest judicial instance of a State is not respected by Government and/or Parliament, a constitutional crisis has reached its peak, or rather its deepest ground. In Poland of 2016 we have seen how Government overtly disrespected the Constitutional Tribunal and its decisions, Government did not participate in the proceedings on the 2015 Amendment to the Constitutional Tribunal Act and the decision of the Constitutional Tribunal annulling the Amendment was declared null and void. The design of this conference could lead us to the question: Which lesson do we learn from Poland and Hungary? Among other lessons to be learned, the most important one is the vulnerability of Constitutional Justice. We have seen in the case of Hungary that a two-thirds majority can heavily deprive constitutional courts of vital elements. In Poland we get an example where a simple majority in Parliament can do the same or go even further. A resilience discussion could lead us to vigilance towards the first signs of an authoritarian, non-democratic regime and to preventive counter-measures – a so called “Wehret-den-Anfängen”-approach, both on the level of constitutionalism and on the level of the political debate. Another, different approach – and in fact a probably more needed approach regarding the countries affected by severe attacks on the independence of the judiciary – is directed towards assisting those who engage in the debate and fight for certain standards of the rule of law, democracy and human rights in their respective constitutional orders. If we accept this difference we might agree in the following comparison drawn from medical science: For a healthy person a medical doctor would not prescribe treatment with antibiotics, rather the doctor would recommend vitamins and nourishment that strengthens the immune system while winter approaches. If the person faces an imminent danger of serious diseases the doctor would recommend vaccinations. The situation is different with a patient having fallen ill already. In this case medical treatment in the narrower sense is required. As many German colleagues might focus on the first approach during the next two days I would try two introduce some ideas to the second approach – “the ill patient”-approach. Such an approach includes – at least – three steps. The first step is to decide whether it is an illness or a simple mutation of the rule of law. In other words: the question is whether there is a threat to democracy and the rule of law which is beyond a red line drawn by European Law and/or the national Constitution. This has to be separated from other questions which might be called “political questions” within the margin of appreciation of a state, hereby using a term constantly used by the European Court of Human Rights. The second step is to analyze the reaction by national organs and stake holders, including universities and the civil society, in particular the media and their reactions in the respective state. At this point I would like to be very concrete as someone who is an outsider to the Hungarian and Polish constitutional debates understanding none of the two languages. To start with Poland: The Constitutional Tribunal, the Supreme Court and in particular their (former) (Vice)Presidents have shown remarkable independence and courage. There was strong resistance by the civil society and other stakeholders in the debate. The judges of the Constitutional Tribunal went on adjudicating with an open dissent on the composition of the bench, they declared the amendments on their procedural law to a large extent unconstitutional, and they tried to prevent the new Court President preferred by the Government from being elected. Apparently votes are not so clear so the new President avoids sitting in the Plenary. Against the non-acceptance of judgments the ordinary courts took the annulment of laws by the Constitutional Tribunal into account although the decisions were not published. However, in the end this did not lead to a situation where the Constitutional Tribunal could continue to fulfill its task under the Constitution. Rather we have a nonfunctioning Court at the moment, more or less isolated on an international level. In a judgment on disciplinary proceedings against a judge sitting in insolvency cases and allegedly having dealt with his cases too slowly, the Constitutional Court annulled the sanctions on procedural grounds. It did not deal with the allegation of the judge that the measure against him was a retaliatory measure for his criticism against the judicial system in Hungary. In this context, one should take note of a separate opinion of judge Czine (a career judge) who called for a stronger consideration of independence of judges in disciplinary proceedings against judges. The increase in cardinal laws with a two-third majority-requirement in the years after 2010 had the effect that future simple majorities in Parliament could not depart so easily from legislative decisions taken by the first Fidesz Government. However, this already hits the current Fidesz Government. According to Article P of the Basic Law, legislation on the protection of national resources was subject to cardinal laws. In two decisions of October 2017 the Constitutional Court found that the legislator has not taken the proper form of cardinal law, setting a time limit in which the legislation in the form of cardinal act has to be taken. In the same decision it held that the provision of Article 37 para. 4 Basic Law restricting the competences of the Court was to be interpreted narrowly, not excluding the review on separation of agricultural land from the national land fund. A negative example in terms of quality of the reasoning is the decision on political advertisement by Government in the campaign for the 2016 referendum on “compulsory immigration of foreigners through the EU”. The question in the proceedings was whether one-sided Government spots, calling for participation in the referendum (“I love Hungary and therefore I go voting”), were to be counted for the 50-minutes-limit for Government advertising, which did not happen. The Curia (Supreme Court) gave a detailed reasoning why it found that this “Government propaganda” was to be counted for the 50 minutes and did not fall under “advertising in the public interest”. The Constitutional Court in turn annulled this decision and found (in favor of the Government) that imposing the 50-minutes-limit violated the freedom of expression of the TV station concerned. There is no substantial reasoning in the judgment and in particular no argument against the reasoning of the curia. For the background it is remarkable that the rapporteur was Maria Szivos who was one of the four judges elected when the size of the Court was increased from 11 to 15. And even more remarkable is the fact that a separate opinion of four judges criticizes that the Constitutional Court did not review whether the judgment of the Curia had exceeded the limits of constitutionality. Rather it would replace the legal opinion of the Curia on the interpretation of ordinary legislation by its own views, thus becoming a “super revision instance” which was not its role under the Constitution. Another judge expressly confirms the decision of the Curia. According to Point 5. of the Closing and Miscellaneous Provisions of the Fourth Amendment of the Fundamental Law of 2013 “Constitutional Court rulings given prior to the entry into force of the Fundamental Law are hereby repealed.” This provision should be “without prejudice to the legal effect produced by those rulings.” So far, this provision has been widely ignored by the Constitutional Court, it continues to refer to older case law especially where there is identical wording. However, in its decision 13/2018 there is a separate opinion that strongly argues against reference to the old Constitution. These examples should be sufficient to show that the court shows some tendencies towards formalism and limited reasoning. However, even a Court nominated by one Government and de facto by one party may show different shadings (“Schattierungen”) as to judicial independence vis-à-vis the Government. Perhaps this can give an input in particular for the colleagues from Hungary to discuss possible perspectives with us. The third step would be to ask whether a dialogue on this issue – be it in legal scholarship, be it among judges within Hungary, be it on a European level – may contribute to improvements, whether legal diffusion among EU member states may contribute to any change. Resilience can be supported by provisions in constitutions protecting the constitution from interferences of the constitutional legislator itself. “Ewigkeitsgarantien” or “fundamental principles” not subject to change are an instrument in this respect. However, the best rules may not be sufficient if mutual respect between state organs is lost and with this the respect for the constitution and its core guarantees. A first concluding remark is therefore dedicated to constitutional culture. In a situation of constitutional crisis we often find a climate of conflict, sometimes even a climate of hatred, between competing political forces. During a visit to Warsaw in February 2016 the rapporteurs of the Venice Commission became witnesses of a heated debate among parliamentarians. A similar déjà-vu occurred to them in the Spanish house of deputies when discussions were led on the Role of the Constitutional Court in the Catalan Crisis. Heated debates are nothing unusual in Parliaments. However, they are a symptom for absence constitutional culture. The shortest and best way to explain the significance of the role of constitutional culture is to quote the 2012 opinion of the Venice Commission on judicial reform in Romania. The Commission held: It “seems that some stakeholders were of the opinion that anything that can be done according to the letter of the Constitution is also admissible. The underlying idea may have been that the majority can do whatever it wants to do because it is the majority. This is obviously a misconception of democracy. Democracy cannot be reduced to the rule of the majority; majority rule is limited by the Constitution and by law, primarily in order to safeguard the interests of minorities. Of course, the majority steers the country during a legislative period but it must not subdue the minority; it has an obligation to respect those who lost the last elections." Another feature of lack of constitutional culture is the attack of judges. We have seen this in the UK in the context of Brexit and a court decision establishing the participation of Parliament. However, there is a big difference. While the three judges in London were called “enemies of the people” by a tabloid, harsh criticism of the same kind and similar wording stem from state organs of the Government side. Judges, and in particular those sitting in constitutional courts, are not exempt from criticism. However, personal attacks on all judges or individual judges are clearly inadmissible and jeopardize the position of the judiciary and the public trust and respect it requires. Such attacks are in contradiction with the Court’s position as the guarantor of the supremacy of the Constitution and they are also problematic from the point of view of the constitutionally guaranteed independence and irremovability of the judges of the Court. These observations taken out of the recent practice lead to a theoretical question on democracy. Modern western constitutionalism is based on the theoretical view that the requirement of a qualified majority for changing the constitution protects a minority against changes of law by a simple majority. This has been made clear by Hans Kelsen in his famous book on democracy: “Wesen und Wert der Demokratie” – Nature and Value of Democracy. The constitution is a part of the legal order which is not subject to numerous and quick changes by a simple majority in Parliament, but rather a rigid body protected by an independent Constitutional Court. Hans Kelsen argues in favor of a parliament, in which political opponents have the forum to take decisions after discussions, directed to find a compromise. The aim of the hierarchy of constitution and ordinary laws is the following: those who are not part of the majority are protected by the Constitution and by the rights the Constitution confers upon them. Protection of individuals belonging to minorities, larger minorities as well as smaller ones, in the framework of a democracy, is the aim of a constitution. SUGGESTED CITATION Grabenwarter, Christoph: Constitutional Resilience, VerfBlog, 2018/12/06, https://verfassungsblog.de/constitutional-resilience/, DOI: https://doi.org/10.17176/20190211-225554-0.